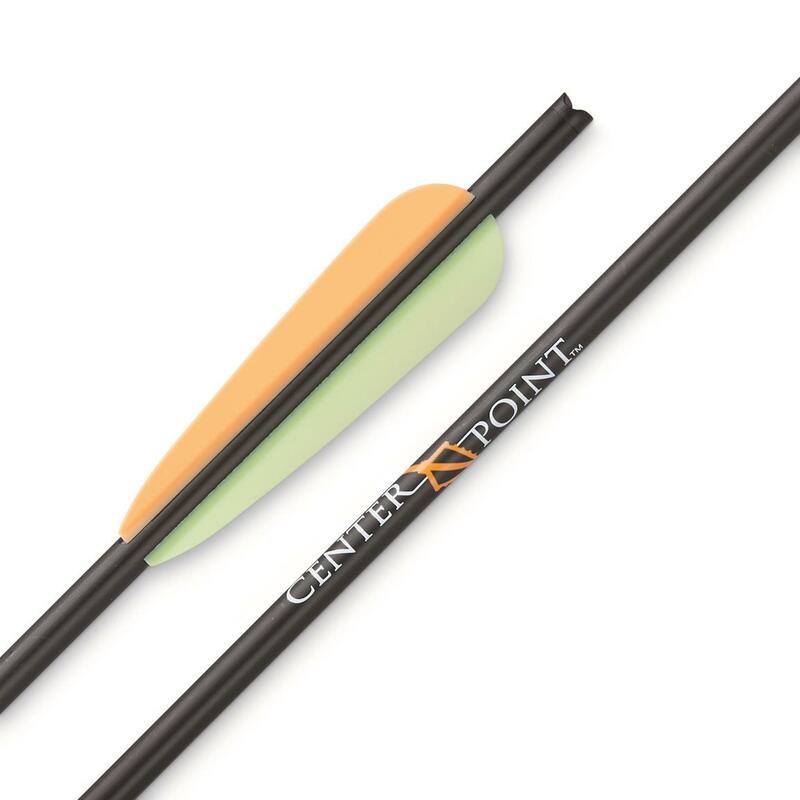 When it comes to hard-hitting accuracy, CenterPoint Aluminum Crossbow Bolts are A-1! Each boasts top performance with increased accuracy and penetration. 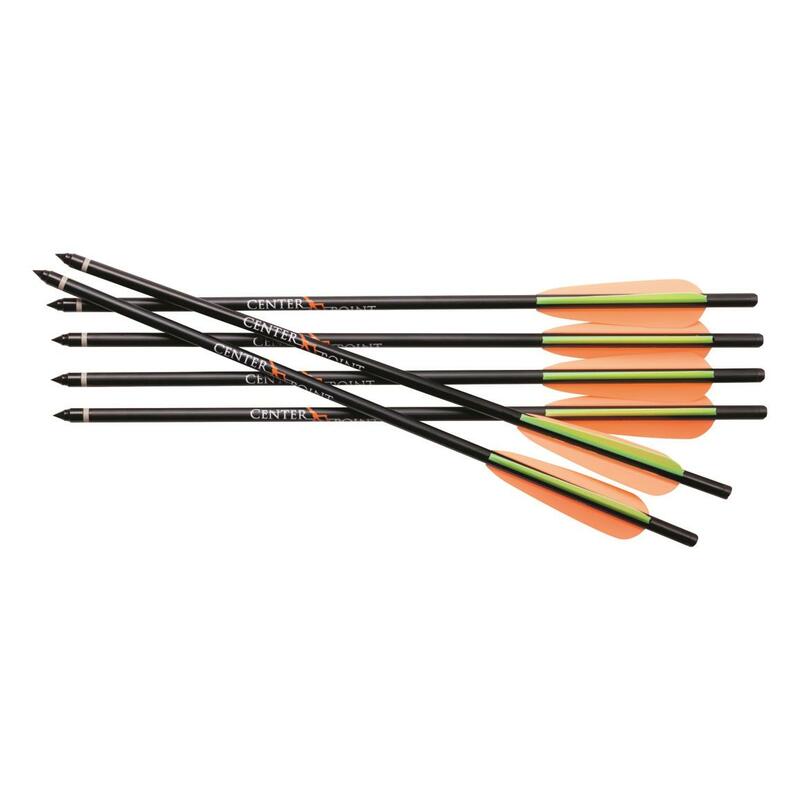 Includes 6 aluminum arrows with 4" vanes and field tips. CenterPoint 16 Aluminum Crossbow Arrows, 400 Grain, 6 Pack is rated 1.0 out of 5 by 3. Rated 1 out of 5 by Pwool from Not cool Shoot one time and they are done. Used them to sight in x175 crossbow after one shot they were curved. Rated 1 out of 5 by volklgirl from Cheaply made and bad quality control 4 of these came with my bow, and I purchased another box of 6. The first time I shot my bow, fletching stripped off 1 bolt, 2 lost nocks, 1 lost the insert, and 1 had the insert jam fully into the bolt shaft. It didn't seem to matter whether they were the ones supplied with the bow (marked only with 2219), or the ones I purchased (marked with the company logo); they all seemed to suffer from faulty manufacturing/quality control. I've now shot my bow a second time, and have had another nock and insert disappear.In addition, the bolts tend to fly irregularly and there's little consistency in where they hit on the target, especially when compared to my 3 carbon Muddy Girl 20" bolts.So disappointed, since it's very difficult to find other 16" bolts locally.